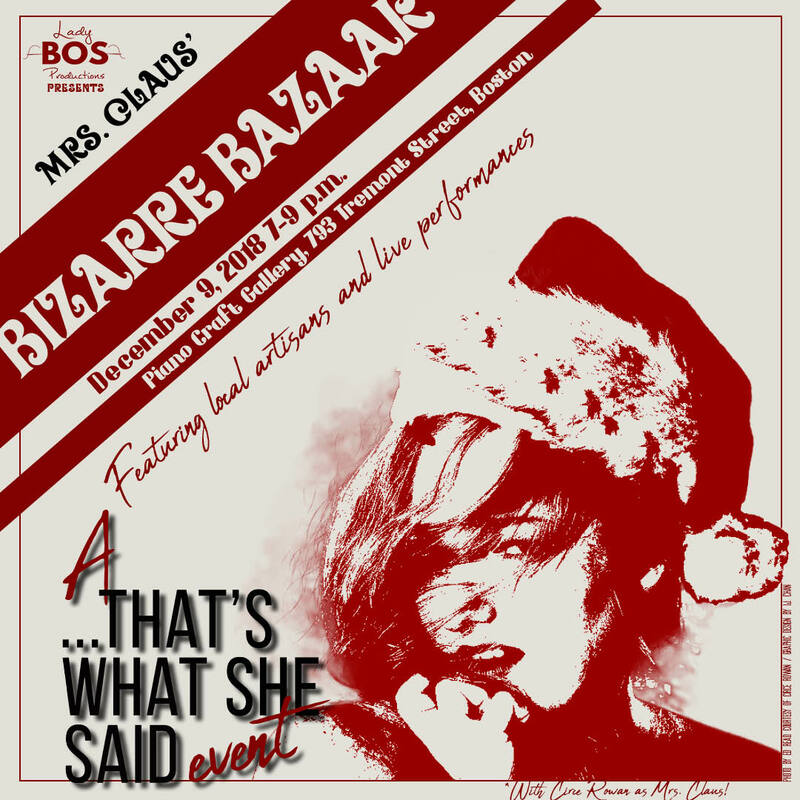 The Piano Craft Gallery is excited to host Lady BOS Productions' Mrs. Claus' Bizarre Bazaar, a ... That's What She Said event. RSVP required. Visit mrsclausbizarrebazaar.eventbrite.com to do so. "Our world feels more and more bizarre every day. Escape what feels like impending dystopia for an evening and enter a magical world that puts women at the forefront. Santa, our most beloved old white dude, takes a backseat for the night while Mrs. Claus hosts an evening of live performances and holiday shopping. Enjoy dance, music, comedy, and top notch affordable local art, all for a good cause! Feel free to embrace our bizarre theme with your own strange and magical holiday outfit, but don't worry, we won't send you home from school if you choose not to follow the dress code!" Suggested donation $10-15. All donations support ...That's What She Said, an all femme-run production that provides support to female and femme-identifying dance makers through peer mentored critical response workshops, community outreach programs, and performance opportunities.